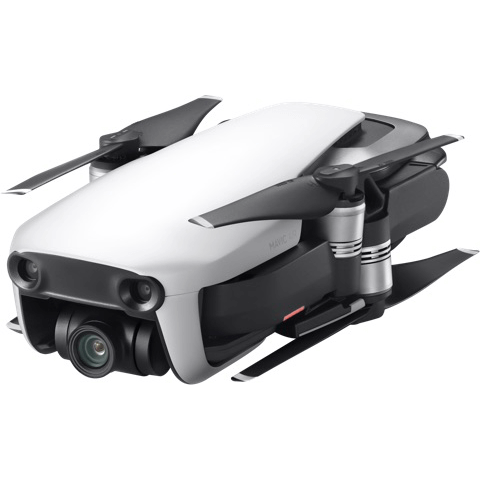 Pair the Mavic Air with the DJI Goggles8 for FPV flight, and take to the skies for an immersive aerial adventure! Notes:1. The sky above the camera cannot be captured due to the gimbal's limited tilt range. Instead, the sky is automatically generated using a zenith patching algorithm.2. Including people, cars, and watercraft.3. Acquired at a constant speed of 25 kph, free of wind. Actual flight time may vary because of the environment and use of flight modes.4. Acquired near sea level, free of wind.5. Remote controller required. When in Sport mode, the aircraft cannot sense obstacles. Fly with caution.6. Due to local policies, some countries do not support 5.8 GHz transmission.7. Unobstructed, free of interference, when FCC compliant. The max transmission distance is 2 km when CE compliant.